You can get a $20 bonus credit added to your new Western Union Prepaid MasterCard when you activate and load your new card with a minimum of $40 to get started. Just sign up through this Western Union Prepaid Card $20 Bonus Referral Link, active your new card once it arrives by mail, and then add at least $40 to your new card account to get a $20 bonus credit added to your card within 2 days. 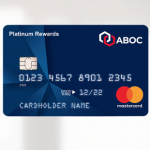 The Pay-As-You-Go Plan will be automatically effective when you first obtain the card, which has no monthly fees, so you’ll get your $20 bonus without having to worry about any monthly fees on your new account. 1. Apply through this Western Union Prepaid Card $20 Referral Link or enter the Referral Code 8339847250 when you open your new account. 3. Add at least $40 to your new card account once you receive it (funds received via Western Union money transfers do not count toward the minimum load requirement). 4. You’ll get a $20 bonus added to your account within 2 days after meeting the funding requirement. Please note that if you had any NetSpend-family card, such as the NetSpend Prepaid Card, Brink’s Prepaid Card, or Control Prepaid Card, which was used for a value load, purchase, cash withdrawal, or incurred a balance inquiry fee at any time during the 180 calendar days before the day that your $40 load requirement is fully met on your new Western Union Prepaid Card, then you will not qualify for the $20 bonus. The Western Union Prepaid MasterCard Refer-A-Friend Program lets you give your family and friends a $20 bonus when they fund a new card account with at least $40. Plus, you’ll earn a $20 bonus for each new card account member that you refer, so everybody benefits. 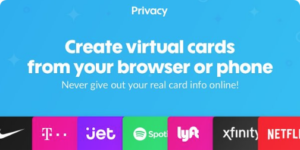 You must allow 2 business days for the $20 credit to appear on each card account after your qualifying referral makes their first load for at least $40. If you accrue $600 or more in referral rewards in a calendar year, you will receive an IRS Form 1099-MISC reflecting the total rewards for such calendar year. Get the Western Union Prepaid MasterCard to earn a $20 bonus credit with your new card account. Hey, so I made an account and would like to refer my dad. In the link it sends to him, the sign up sheet has an entry for referral code. We are wondering if the code is the last 10 digits in the link. also is using western union to load the $40 a valid option? Loading at their locations costs $3.95, is there away to load the card for free? I had no issue getting the $20 bonus. it appeared two days after transferring funds from my bank via ACH. (free on most banks) Then I transferred the money back out, avoiding any prepaid card usage fees. If you haven’t had a Netspend account in the last 180 days, this is a great way to make $20. Just click the link, sign up, activate the card when it arrives in the mail, and load $40. Within two days, you will be $20 richer.